I’m sure we’ll be hearing the phrase “thoughts and prayers” mumbled insincerely by Trump in the next couple of hours. There has been yet another mass shooting in the United States. That brings this year’s tally up to 298 mass shootings in the US in 2018 alone, which explains why toddlers now learn nursery rhymes about how to survive them. Today’s shooting happened at a Thousand Oaks, California bar, packed with hundreds of people attending a popular event for college students, reports the Los Angeles Times. 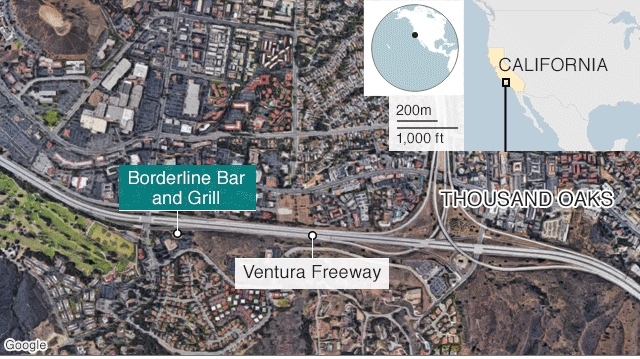 The gunman burst into the bar around 11:20 p.m., cloaked in all black as he threw smoke bombs and began shooting at targets as young as 18 years old inside the Borderline Bar & Grill, authorities and witnesses said. Ventura County Sheriff’s Department deputies came onto the scene and returned fire, with a Ventura County sheriff’s deputy now confirmed dead. The bar was a popular hangout for college students, a number of whom were as young as 18. It’s also a popular spot for country music lovers. 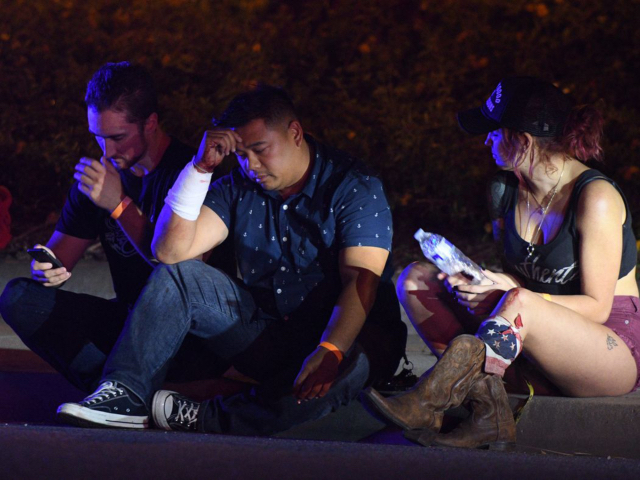 Many of the attendees at the bar when the shooting occurred normally attended the Stage Coach country music festival in California and, in a twisted turn of events, some were survivors of the massacre at the Route 91 Harvest Festival in Las Vegas that left 58 dead last year. At the time of writing, 12 fatalities have been reported, along with multiple injuries. One survivor described hearing 12 shots before he managed to escape out of the door. The exact number of shots fired is unknown, but others reported hearing as many as 30. Witnesses described the gunman shouting something, but couldn’t hear what he said. Another witness described him shooting at the ceiling. The gunman is believed to be dead inside the bar. The circumstances of his death have not been confirmed. ← Will Seth’s New Venture Be Bigger Than The Cane Chair Business?